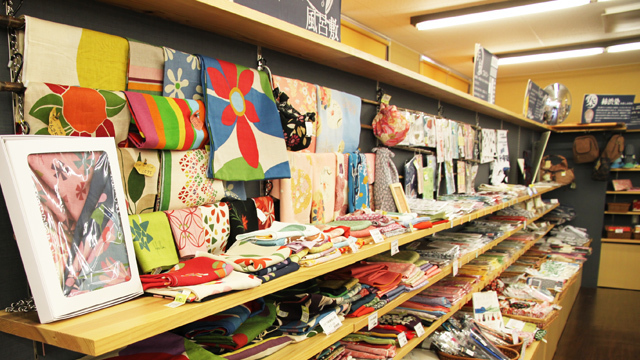 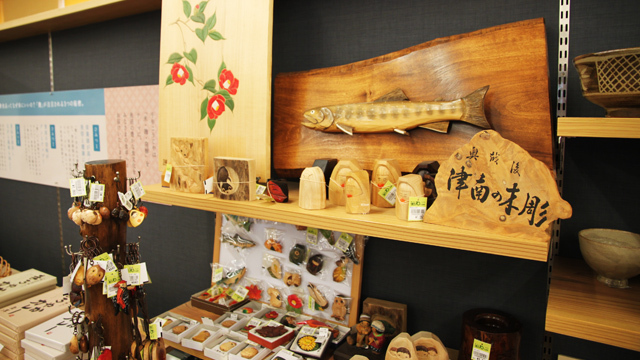 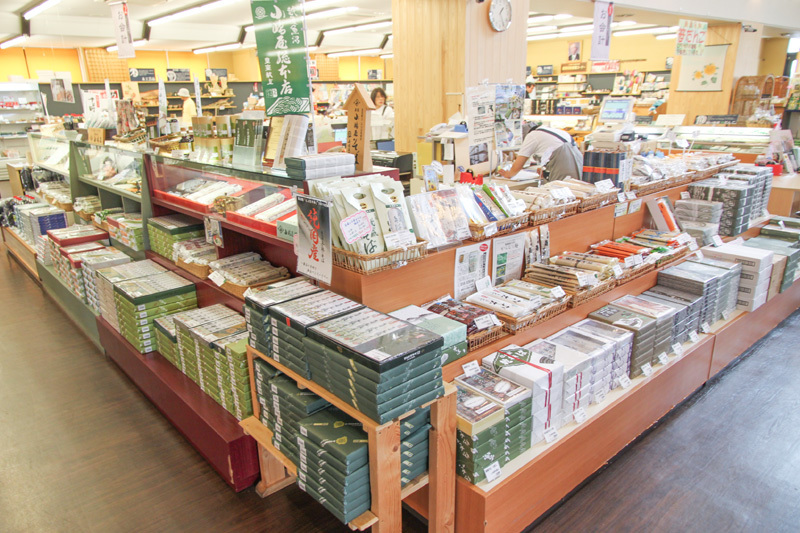 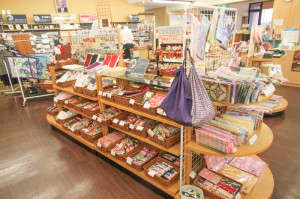 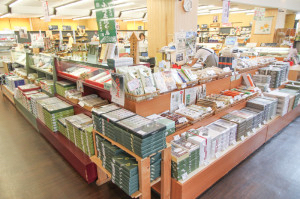 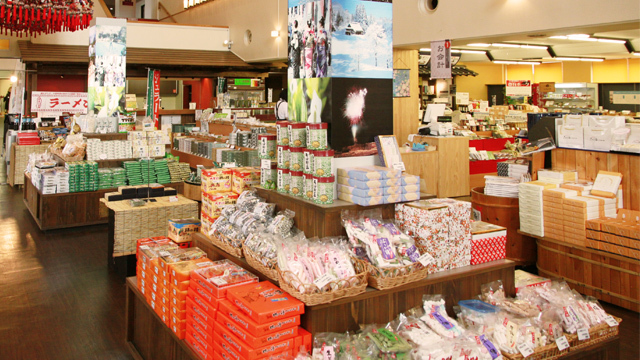 In addition to traditional Niigata souvenirs such as soba, Koshihikari rice, and Sasa Dango (dumplings wrapped in bamboo grass), this shop offers a variety of local specialties too, such as fabric crafts produced in Tokamachi. 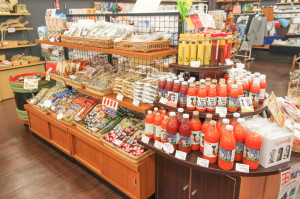 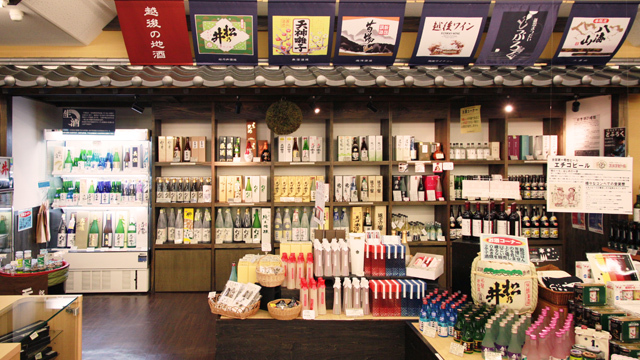 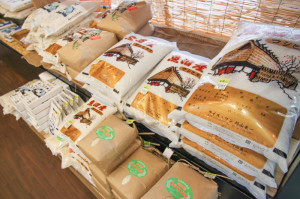 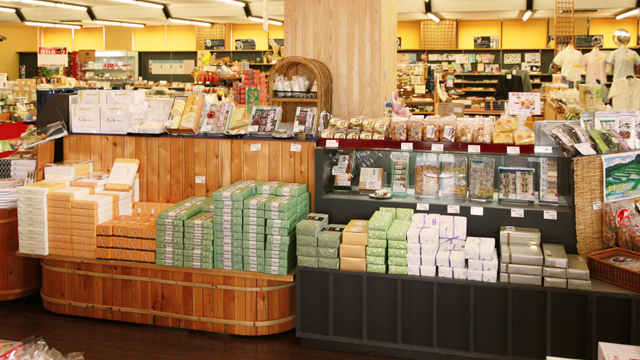 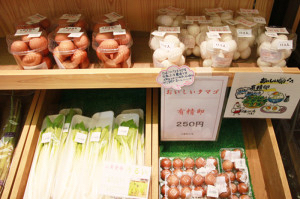 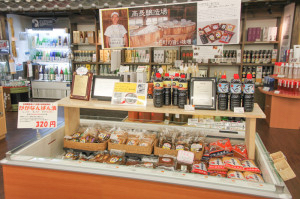 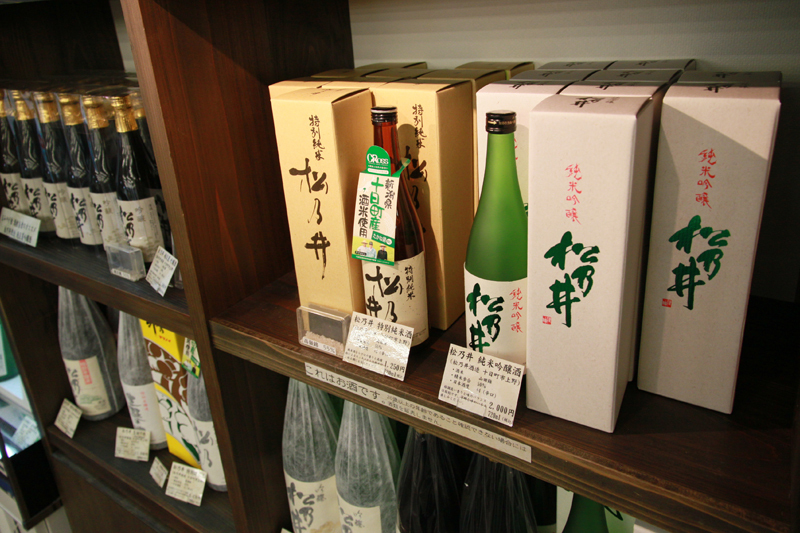 Also here is a "farm products section" selling local fresh and processed agricultural products as well as a "liquor section" offering a wide selection of sake, mainly local sake brewed in the Tokamachi area. 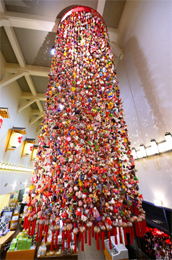 High overhead, a "happiness-bringing umbrella with hanging dolls" hangs from the ceiling. 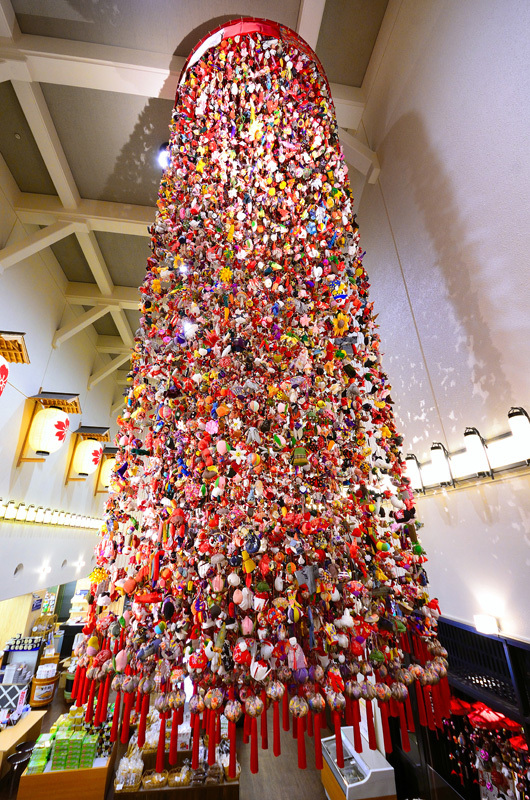 This is one of three major sets of hanging dolls in the snow country of Echigo and certified by Guinness World Records as the exhibition with the largest number of hand-made stuffed dolls, an incredible 11,655, in fact! 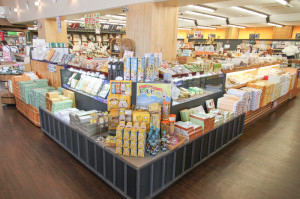 Come visit and enjoy the overwhelm scale! 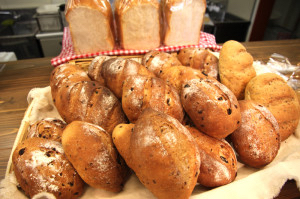 * Sold only on Saturdays and Sundays in the cafe corner.